FE:A is getting another set of maps via DLC, as the first map of the Rogues Pack become available for purchase. The first of the RoR map pack, Rogues and Redeemers 1 ups the difficulty by bringing in Lord characters from previous Fire Emblem games and pitting them against an army of 30 popular villians from the series. Do note that every enemy unit is a promoted level 20 character so be sure to bring your best guns, especially for people playing on Lunatic and Lunatic+. 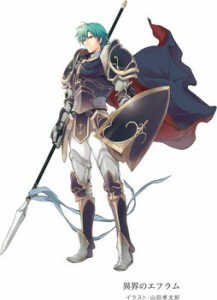 Completing RoR 1 will net you Ephraim’s Card, who is from Fire Emblem: The Sacred Stones alongside his sister Eirika (which you may have already picked up via the Smash Brethen 2 map). Rogues and Redeemers 1 is now available for $3 while the whole map pack is available for $6.50. Aside from the paid DLC, there’s also a free map called Ghost of Blade which you can net via SpotPass.